The weather has been absolutely freezing lately and all I want to do is stay indoors and knit! 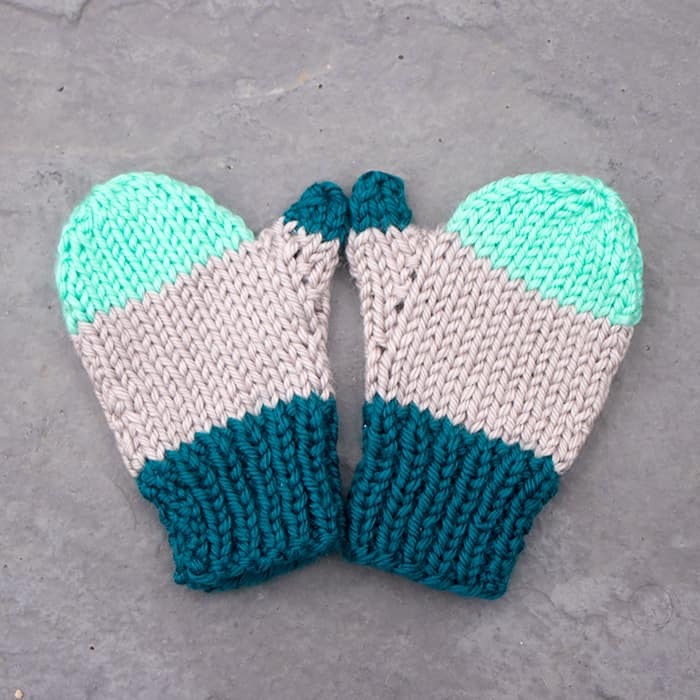 I had some yarn left in complimenting colors, so I decided to whip up these kid’s mittens. 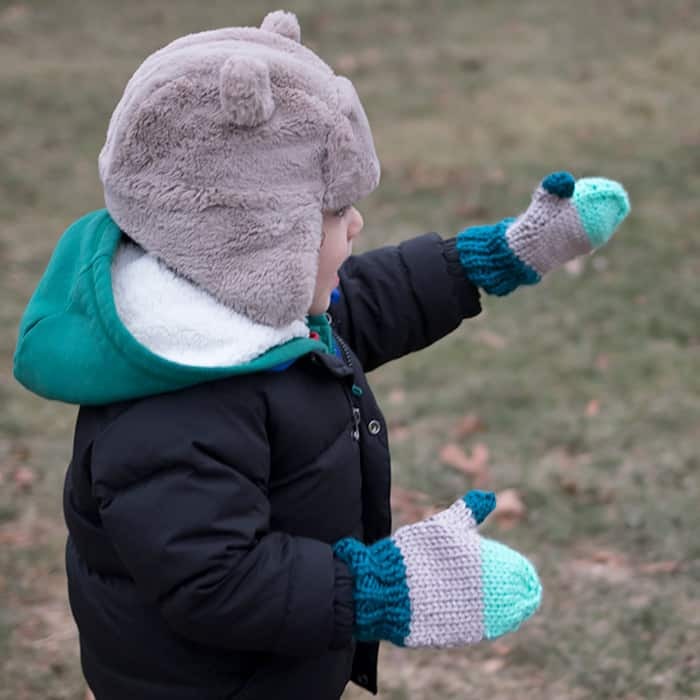 These flat knit kid’s mittens are a fast and easy knit. They’re knit flat and the thumb stitches are put on a holder and worked later. This Soft Essentials yarn is great to work with and it comes in a bunch of complimenting colors. Soft Essentials is the chunky version of Red Heart’s Soft yarn. I’ve used it in several other projects and I’m always happy with the end result. 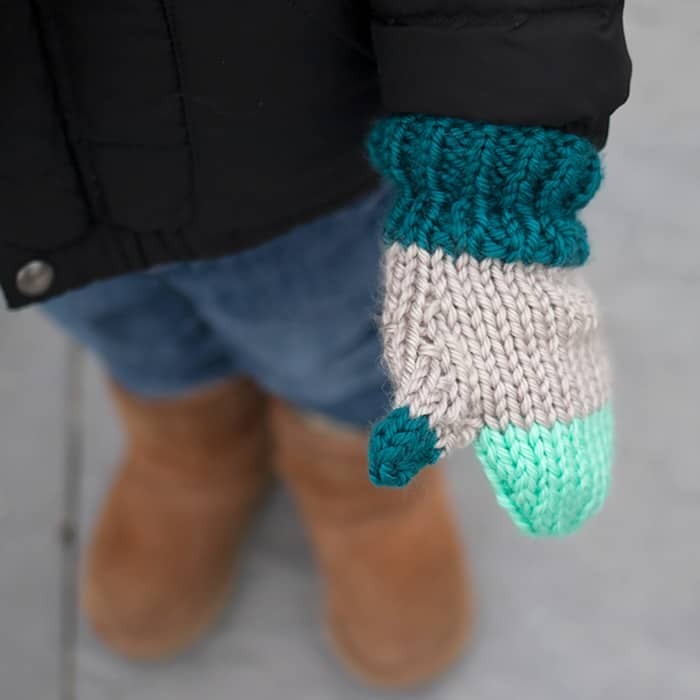 Be sure to check back- Women’s version of this knitting pattern is coming soon! Switch to larger needles and work 4 rows in straight stitch. Row 1: Knit 12 sts, place marker, M1, K1, M1 place marker. Knit 12 sts across. Work in rows 3 and 4 until you have 9 sts between the markers. Knit 12 sts. Remove stitch holder and put middle 9 sts on a stitch holder. Knit across the last 12 sts. Work in Stockinette stitch until piece measures 5 1/2 inches from the cast on edge. On the final row place a marker in the middle of the stitches. With the right side facing, place the sts from the stitch holder on the needle. 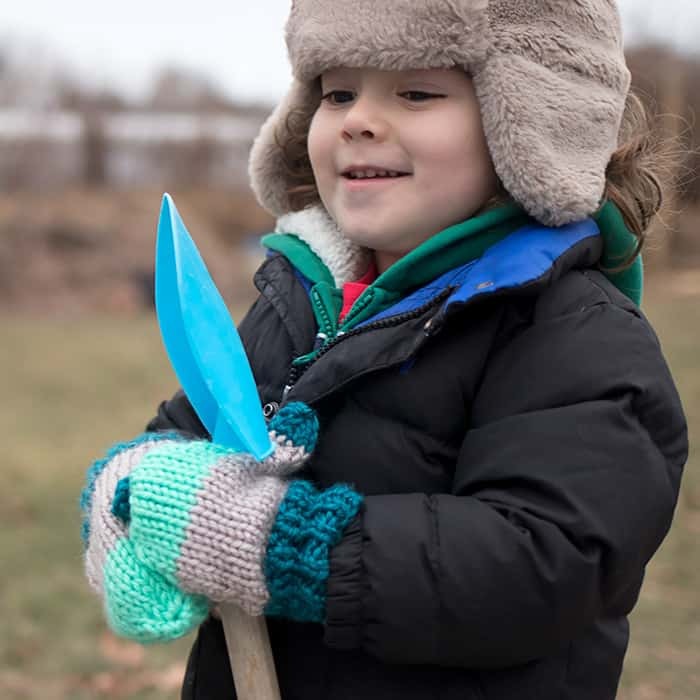 Using the Teal yarn, knit across.